BAM Construction’s main site works involved a Contiguous Piled Wall and general enabling works for the construction of a new research facility for Unilever. The works comprised a reinforced sprayed concrete facing to a contiguous piled wall which comprised of Ø600mm Piles at 750mm Centres. Deckdrain drainage membrane and fixed with Hilti IDMR fixings. 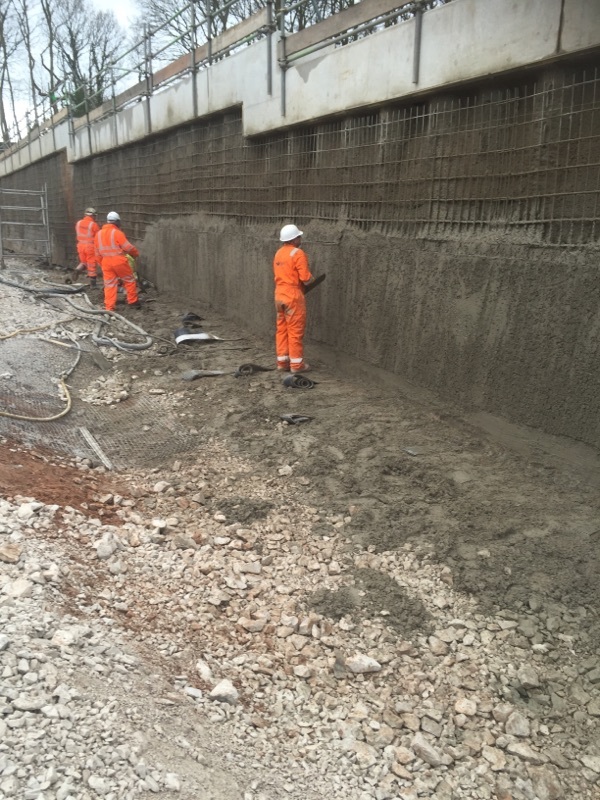 BAM Construction, Unilever and Bebington Guide Wires ensured that the minimum thickness of 100mm sprayed concrete was applied to the face of the piles. Sprayed concrete consisted of ready-mix concrete with a maximum aggregate size of 10mm. 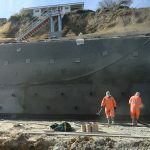 The concrete design strength was 40MPa Concrete was delivered in 6M3 loads, from a local ready-mix plant. The applied Sprayed Concrete was trowelled to the level of the guide wires utilising hand tools, and cured. 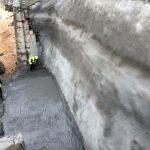 The works were completed to programme and budget, to the satisfaction of all parties concerned.